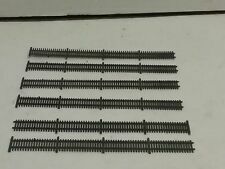 Estate Find Train Accessories Lot!! Up for sale is a lot of 12 Die Cast Cars. All are in excellent condition. The lot is from my father’s personal collection. He is in the process of thinning out his massive collection. Any flaws to the item will be listed above. We will be happy to answer and help you the best we can. B497A- pipe hangers. All of our parts are used and in good working order when removed from the donor vehicle. RDS Radios almost always have to be dealer installed. Codes can be obtained from your local dealer or over the net by typing "radio codes" into your browser. 6 pieces per lot. Each one is about 6" in length. All of our parts are used and in good working order when removed from the donor vehicle. RDS Radios almost always have to be dealer installed. Codes can be obtained from your local dealer or over the net by typing "radio codes" into your browser. All of our parts are used and in good working order when removed from the donor vehicle. RDS Radios almost always have to be dealer installed. Codes can be obtained from your local dealer or over the net by typing "radio codes" into your browser. Arbor models Lima 2 wheel pilot truck. All parts are used and in good working order to the best of our knowledge. However it is up to you to choose the speed in which your item will arrive. B497a- injectors. All of our parts are used and in good working order when removed from the donor vehicle. RDS Radios almost always have to be dealer installed. Codes can be obtained from your local dealer or over the net by typing "radio codes" into your browser. Maybe these could be helpful in getting your locomotive repaired. From at least 2 engines. Looks like a lifelike 0-4-0 and a pemco 2-8-2. Very useful lot. Most excellent, layout ready. If there is a problem, we will take care of it! Lot of 13 HO Built up wood Craftsman Buildings Lumber Co warehouse sheds Nice! Includes 2 valley Lumber Co Lumber sheds and the office. May be a Suydam kit. Very nice! The larger shed has a slight dimple on the roof peak. The large lumber shed is 7" x 4 3/4", it is the largest structure. Tipple (?). needs a bit of work on the corrugated roof. Overall nice. Lighted wood 3 stall engine house with corrugated tin roof. 7" wide x 10" deep. Taken off a layout- built wood craftsman structures. 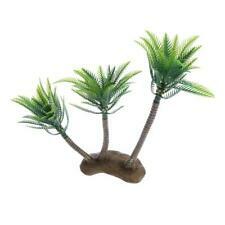 Perfect to enhance the appearance of your model landscape with a touch of greenery. 1 Piece Tree Model. Size Chart. Will fit in many layout periods. A lot of fine details. All as shown. Perfect to enhance the appearance of your model landscape with a touch of greenery. 1 Piece Tree Model. Size Chart - Color: multi-colored. Shorty made his own signs ("Pool", Doctor Lloyd") and hung those shingles out for the town to see. Also, there is a wooden porch built from wood by Shorty. Hand-painted and in very good shape, part of his town- and a nice side stairway fully intact and functional, if you are of HO Size. General Motors MAC railroad handcar original box only. I’m not sure if box is complete,but it appears to be. One end has some tape on a couple of the flaps. Other end is solid,no tape. Outside shows very nice. Also has the original cardboard liner in the box. Any questions,please ask. I will be out of town until January 30. Six Western Figures in HO Scale. Hand-painted and in very good shape, no limbs or things broken off. Beautifully painted, incredible detail. Ol' Sagebrush is gone but the band plays on! The young un's friend who has a yarn to spin. Seven sitting figures in HO Scale. Hand-painted and in very good shape, no limbs or things broken off. Beautifully painted, incredible detail. These people are already sitting, all they need is a chair! Ol' Sagebrush is gone but the band plays on! Eight HO Figures, shopping, working, and drinking! Well, here's a bunch of people doing a bunch of things in HO Scale, in plastic box. Hand-painted and in very good shape, no limbs or things broken off. Beautifully painted, incredible detail. It's a microcosm of real life, folks. Countryside Scene - missing minor detail pieces. No light, but creative installation is possible. It is how we judge, reward and punish each other in a public forum. The scene has about a 8" X 5.5" footprint at the oval's widest points. Perfect to enhance the appearance of your model landscape with a touch of greenery. 1 Piece Tree Model. Size Chart - Color: multi-colored. Other Accessories. Lighting & Indicators. Shorty made his own signs ("Pool", Doctor Lloyd") and hung those shingles out for the town to see. Also, there is a wooden porch built from wood by Shorty. Ol' Sagebrush is gone but the band plays on!